If you liked this show, you should follow ICF Phoenix. Connie Kadansky is the President of Exceptional Sales Performance, an international sales training and coaching practice. 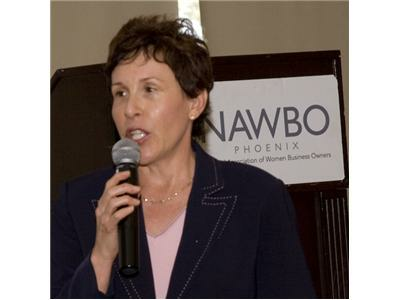 She is a recognized expert in identifying and eliminating Sales Call Reluctance. Connie has a proven track record in diverse industries, i.e., financial services, insurance, real estate, banking, print media, software, public broadcasting and executive search. She was interviewed by Wall Street Journal, made a radio commercial for American Express and is a contributing author of two sales coaching books. She is currently writing two books, one featuring successful salespeople who cold call and prospect on a consistent basis and the second about priority management. She is a graduate of the Adler School of Professional Coaching, Toronto, Canada, and has her Professional Certification. Connie is diligently working towards Masters Certification. She is a member of National Speakers Association and Global Speakers Federation. Connie was chosen to participate in a prestigious scholarship program for executive coaching in Beijing China. She facilitated public speaking training for the Women in Parliament in Rwanda through a French interpreter and sales training for Rwandan entrepreneurs. She facilitates training classes bimonthly in Trinidad West Indies for British Gas, Nestles, Glenmark Pharmaceutials, University of West Indies, Canadian Embassy and general sessions with attendance of people from the Ministry of Finance and other public sector organizations.